THE HISTORY CHEF! : "I Always Give My Occupation as a Farmer"
"I Always Give My Occupation as a Farmer"
According to historians, Harry Truman was a farm boy at heart. For much of his childhood, Harry lived with his brother and sister on their grandmother's 600 acre farm near Grandview, Missouri. When the Truman children were old enough to begin school, the family moved to nearby Independence. After high school, Harry applied to West Point but was rejected because of poor eyesight. Instead of attending college, he worked as a newspaper wrapper and as a teller at a bank. In 1914, Harry returned to Grandview and assumed supervision of his grandmother’s farm, plowing, sowing, harvesting, and repairing farm equipment himself. 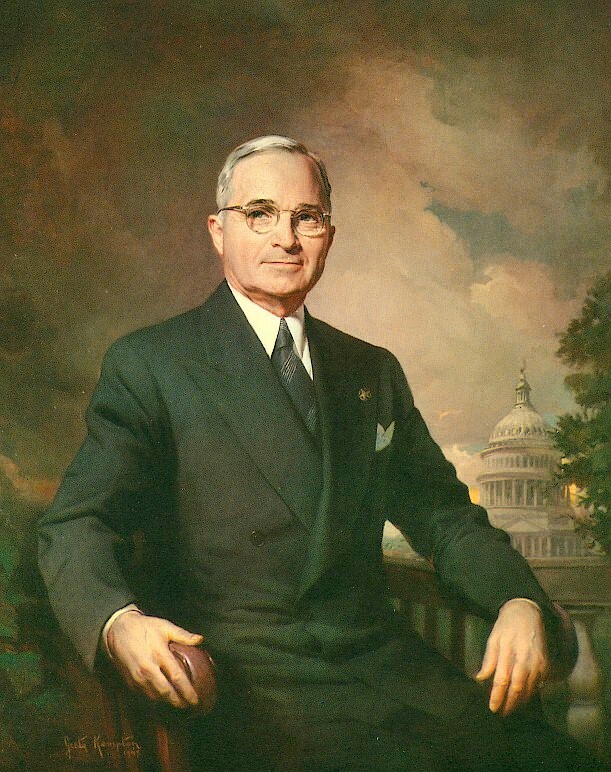 For the rest of his life, Truman always enjoyed returning to the family farm, so much so that, even after he became president, he was quoted as saying, "I always give my occupation as farmer. I spent the best years of my life trying to run a 600-acre farm successfully, and I know what the problems are." It's not surprising, then, that even in the White House, Truman and his wife Bess favored hearty, farm-style foods like Meatloaf and Pot Roasted Beef. Tuna Noodle Casserole was another Truman family favorite. If you'd like to get a sense of the dish that often appeared on the Truman's dinner table, here is a simple recipe that has been adapted from Bess Truman’s handwritten recipe which is on file at the Harry Truman Presidential Library and Museum in Independence, Missouri. Preheat oven to 350°F. Grease a 2 ½ to 3-quart casserole dish. In a medium saucepan, cook the noodles until tender, about 10-12 minutes. Remove and drain well. In a medium bowl, combine the noodles, tuna, soup, and milk. Pour mixture into the prepared baking dish. Melt butter in a small saucepan over medium heat. Mix together bread crumbs and butter in a small bowl, then sprinkle bread crumb mixture and cheese over the top. Bake for 20 minutes, or until bread crumbs are browned.